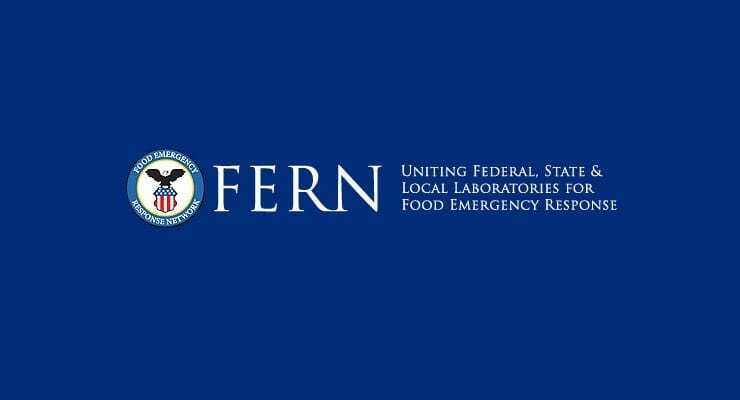 The U.S. Food and Drug Administration is again accepting applications for the Food Emergency Response Network (FERN) Cooperative Agreement Program for Microbiological, Chemical, or Radiological laboratories. The FERN cooperative agreements are intended to target state, local, and tribal FERN laboratories to provide increased analytical capacity and expertise (including method development and validation) in the event of food outbreaks or other large-scale food emergency events requiring surge capacity testing of implicated food samples. Selected labs with potential sample collection capabilities may be tasked with sample collection activities in support of this program. Numbers of samples and scheduling of samples will be determined by the FERN National Program Office (NPO) in coordination with grantees. Federal or State surveillance assignments will also be a source of samples for lab analysis. The FDA estimates that the analysis of up to 480 emergency response and surveillance samples per year may be needed. These cooperative agreements will also be utilized to implement standardized analytical results through the usage of standardized methods, equipment platforms (funded through this cooperative agreement) analytical worksheets, and electronic reporting. Grantees will also be involved in small-scale, short-term method development and method validation projects as directed by the FERN NPO. Matrix extension assignments are also required and can have the potential of requiring rapid turn- around times to respond to food outbreaks. Further details are available via Funding Opportunity RFA-FD-15-019. The application deadline is Jun 29, 2015.